SEATTLE--(BUSINESS WIRE)--(Attorney Advertising)—Keller Rohrback L.L.P. has filed a nationwide class action complaint against Volkswagen Group of America, Inc., alleging that the auto maker deliberately deceived well-meaning, environmentally-conscious consumers and regulators when it installed defeat devices in 482,000 Volkswagen and Audi vehicles. As a result of that deception, the complaint says, consumers nationwide paid a premium for vehicles that did not perform as promised while releasing as much as 40 times the amount of pollution as advertised during normal driving conditions. 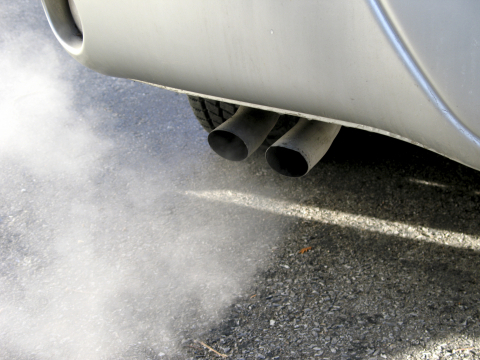 Last week, the EPA issued a Notice of Violation stating that Volkswagen violated the Clean Air Act by including so-called defeat devices in certain diesel passenger cars. Following that announcement, Keller Rohrback, a leading national firm for consumer class actions, filed the complaint in federal court in the Central District of California Sunday on behalf of seven named plaintiffs from three states: California, Washington, and Connecticut. The lawsuit claims violations of multiple state and federal consumer and environmental laws, and asks for damages, restitution, and injunctive relief, among other things, for consumers nationwide. The complaint describes in detail how Volkswagen intentionally installed “defeat devices” in some vehicles to cheat emission tests. “The defeat devices [Volkswagen] designed and installed work by switching on the full emissions control systems in [the] cars only when the car is undergoing periodic emissions testing. The technology needed to control emissions from Defendant’s cars to meet state and federal emissions regulations reduce their performance, limiting acceleration, torque, and fuel efficiency,” the complaint says. If you or a family member owns or leases any of the affected vehicles described above that vehicle is subject to a recall, or if you are concerned that your vehicle is part of the recall, please call attorneys Gretchen Freeman Cappio, Matthew Preusch, or Daniel Mensher at 800.776.6044 or via email at consumer@kellerrohrback.com to discuss our investigation and your potential claims against Volkswagen. Additional information is available at www.krcomplexlit.com. Keller Rohrback L.L.P., with offices in Seattle, Phoenix, New York, and Santa Barbara, serves as lead and co-lead counsel in class actions throughout the country. Our Complex Litigation Group is proud to offer its expertise to clients nationwide, and our trial lawyers have obtained judgments and settlements on behalf of clients in excess of seven billion dollars.